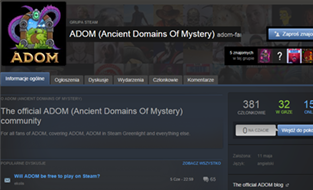 Ancient Domains Of Mystery (ADOM) is an epic roguelike & RPG game, customizable to a wide variety of playing styles. Dive into mysteries created in more than a quarter century of development, explore a huge world and become a champion of order or chaos. 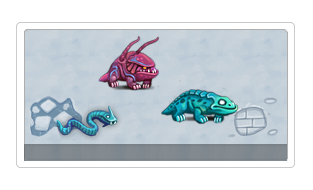 Save the world of Ancardia or rule it with an iron fist... or chaos tentacle! Slay gods. Or ascend yourself! Experience 1994 game design philosophy at its finest. Oh sure, you can save your game and come back to it anytime... but once you die, that's it. End of the line, saves are gone, re-roll character. Winning a game in this mode is something to tell your grandchildren about. Interested in the story itself? Tired of dying around character level six? In this mode you can save anytime and load whenever you wish, even after dying. Just like any other RPG out there. 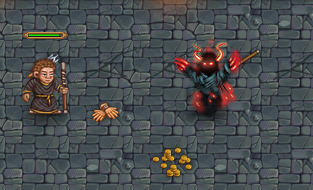 You can leisurely explore everything ADOM has to offer without worrying about your character getting abruptly wiped out forevermore. Have fun! Weekly brain-teasers at various skill levels to help you master the game or let you prove that you've already mastered it. Why not get a little help when battling the forces of chaos? Thanks to the Steam integration in this mode the way you play can influence your friends' game as well. The more players join in, the easier it gets, so band together to even out the odds. 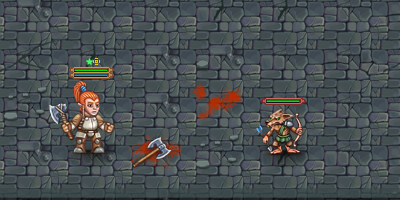 New to ADOM? get an easy introduction to the game, learn all important commands with a guided hint system and get some advice on how to play. Includes a tutorial dungeon in order to get you acquainted with the environment at lightning speed. Ever dreamt of wishing for eternium plate mail? A girdle of giant strength? Or something else? The exploration mode lets you play around with a wand of wishing in order to get access to stuff you rarely might find. No highscores to be won, but lots of knowledge! 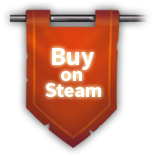 Fully functional Steam Overlay features and many other goodies provided by Steam. Really handy stuff, even if it seems kind of obvious in this day and age. 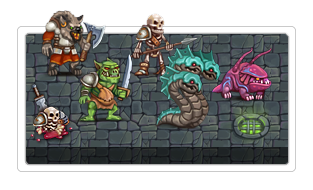 Just remember ADOM started its career in 1994, and 20 years later it integrates seamlessly with 21st century tech. Epic! Died? 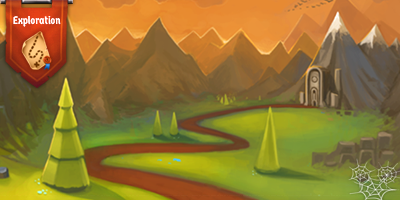 It's not the end of the line for your adventurer yet. Ghosts of your previous unfortunate characters can invade your Steam friends' games. 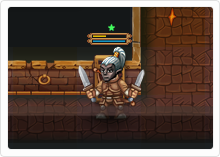 It works two ways: you will encounter vengeful spirits of deceased heroes haunting the dungeons in which they perished. 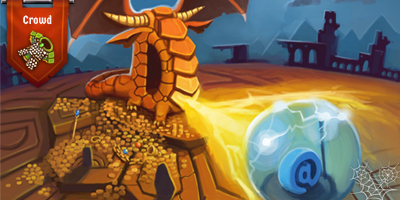 This introduces an extraordinary twist to the game, and adds unique challenges and rewards. Defeat the dead, or join their ranks! Show'em who's boss! 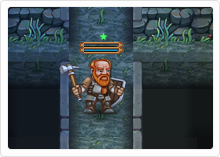 You can upload your best scores in any game mode - most notably Weekly Challenges and Roguelike Mode. 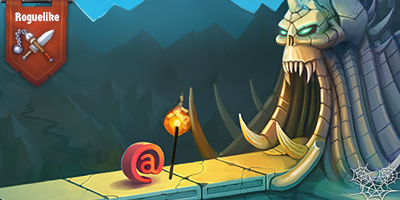 They will be displayed on ADOM's community site and bestow bragging rights upon you until the end of time... or until your friend beats your score, of course. 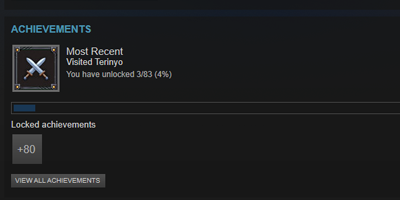 A natural consequence of being on Steam - lots of achievements to strive for. Getting them all will definitely take some time. 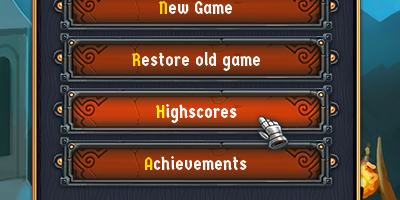 One thing's for sure - completing ADOM in Roguelike mode is still the one achievement to rule them all. Check out ADOM the way it was back in 1994. 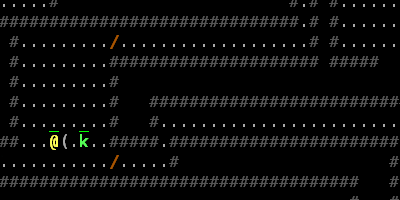 No graphics, just ASCII characters to explain what's going on around you. 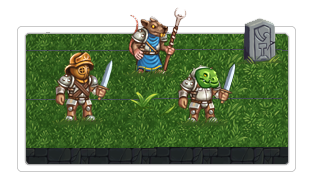 At any point in the game you can switch between ASCII and tile modes - experience the game as a die-hard veteran would, or enjoy the sleek tileset and graphical effects. Note that ASCII mode can be enhanced with extra graphical features such as healthbars and colored messages. 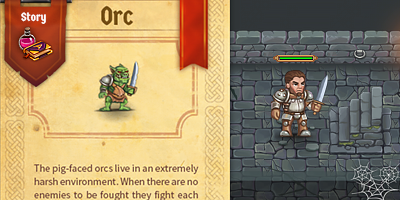 Yes, that's the same scene as the one on the left - your elf paladin character, a weapon on the ground and a hostile kobold. 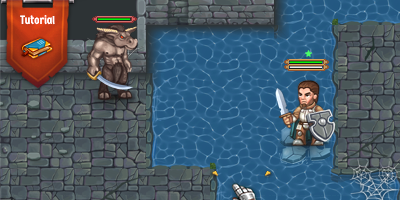 Tile mode makes it easier for new players to explore ADOM. You get the same information as in ASCII mode, but a lot more is visible at first glance rather than through special commands. Neat! 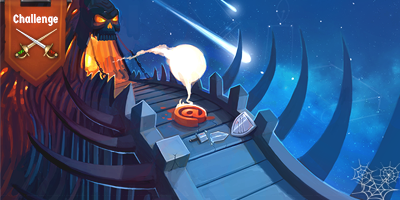 The best place to get you started on your ADOM journey. You can ask questions, get advice, brag about your latest victory or share an amusing death. 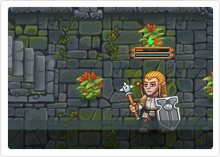 There's also a dedicated ADOM development section where you can report bugs and request features/enhancements to the game. Best place to get you started on your ADOM journey. You can ask questions, get advice, brag about your latest victory or share an amusing death. 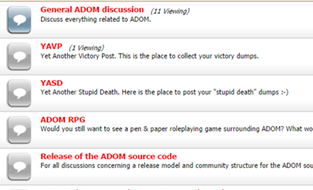 There's also a dedicated ADOM development section where you can report bugs and request features/enhancements to the game. 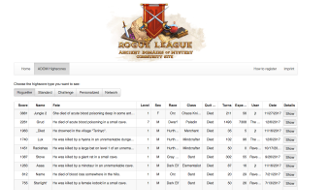 Rogue League, the Ancient Domains of Mystery (ADOM) community site. 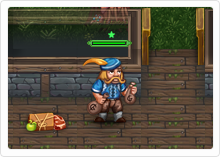 Here your characters can be immortalized forever, you can access various statistics about the game, learn about how other people play the game and more. 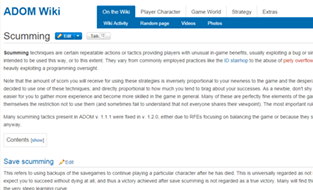 This is probably the most complete ADOM Wiki out there. Maintained by active editors who keep the info accurate and fresh. Warning! Contains spoilers. 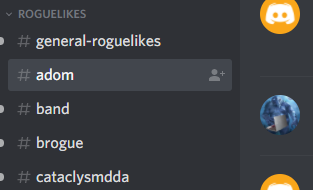 ADOM channel on the Roguelikes Discord server. 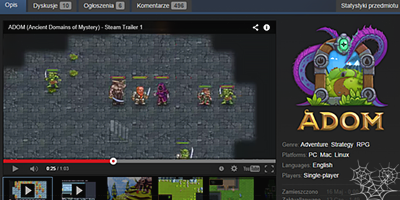 Best place to find people playing and streaming ADOM games. Contains screenshots, promo video, features description, key art and concept illustrations, team info, history summary including crowdfunding success details. Also music samples, logos and in-game sprites. Go to the ADOM press page.